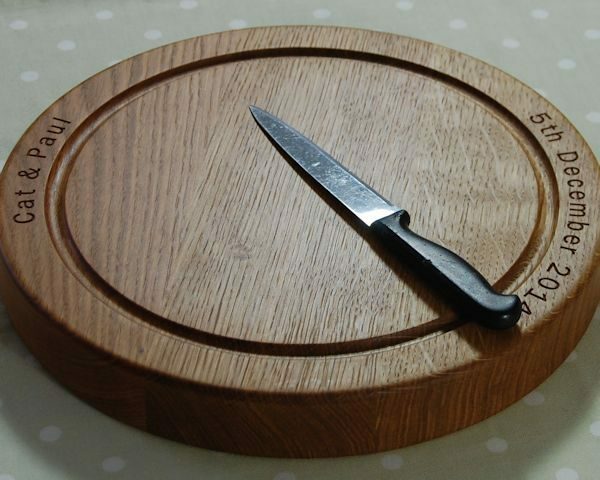 Our very popular circular chopping board is beautifully hand crafted from prime English or European oak, using full-length staves which provide hard wearing and highly tactile boards. 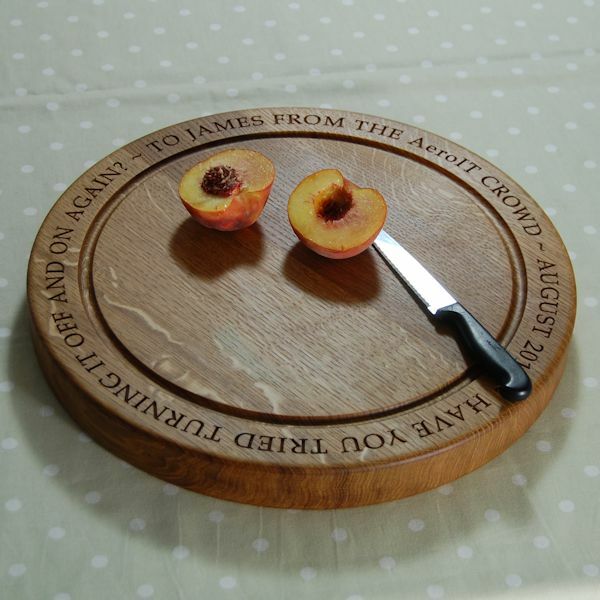 These hand crafted wooden round chopping boards not only enhance the appearance of your work surfaces but protect them and are kind to your knife blades. 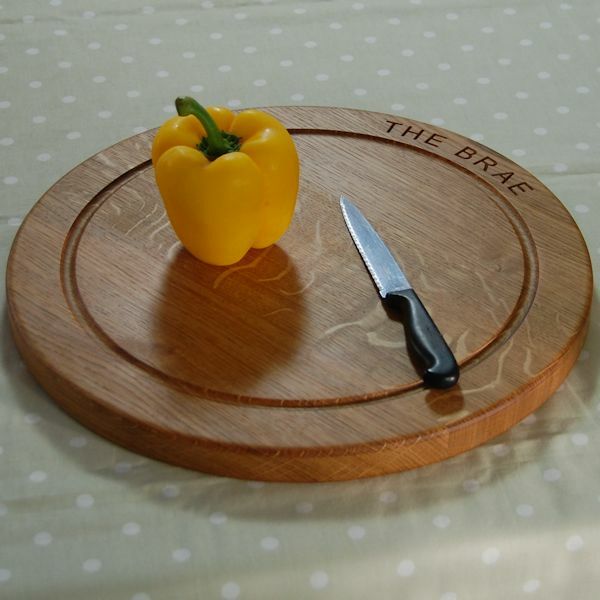 Boards may be crafted to your own measurements if one of our standard sizes is not suitable, although we offer a wide range of standard sizes and two thicknesses (2.7cm and 4.0cm). For more details please contact us or include as much information as possible using the online order form. A draining/crumb groove is available on boards 30cm diameter and above, and recessed handles are optionally available on all sizes. For a truly unique gift our handcrafted boards may be personalised with your own message or a design from our range of 2D and 3D motifs. We can also create your own unique personalised cipher, or a motif design of your own. Your beautiful new personalised circular chopping board will be finished with a comprehensive treatment of a blend of natural oils and waxes before it leaves our workshop. The finish primarily contains food-grade white mineral oil and beeswax, and along with other natural oils and waxes, provides solvent-free, 100% food-safe protection. 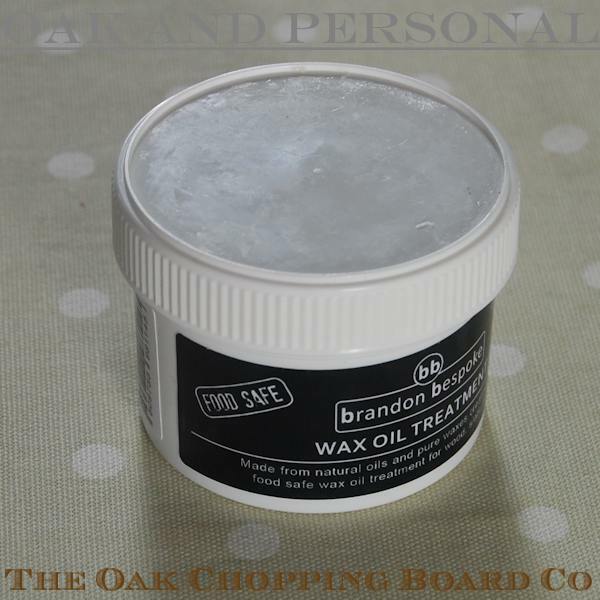 To maintain the beauty and durability of your chopping board we recommend it be periodically treated with Brandon Bespoke Wax Oil Treatment. 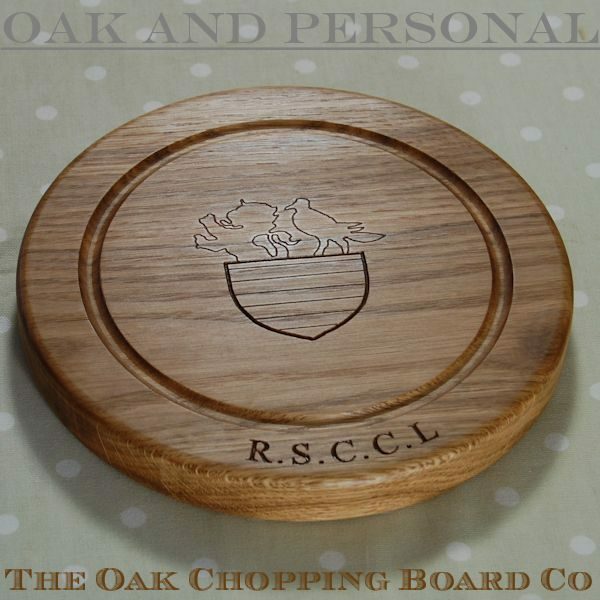 Just to let you know that our oak chopping board has arrived. I am thrilled to bits with it! Fabulous product, thank you so much. Hi John and Diana, Everything was perfect. Thank you for your great product and service. Our order arrived and is beautiful. It is actually already in Australia and we will be meeting up with it again on Thursday. We were both delighted with finished product and I know that it will be greatly admired. Thank you for your efficiency and care. 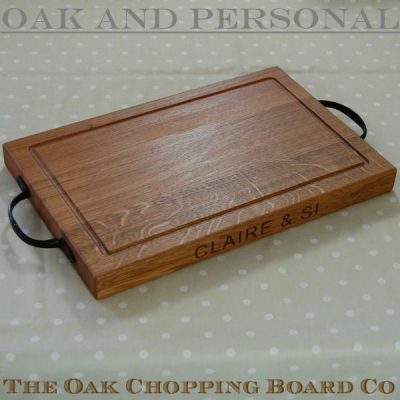 Thank you for the beautiful chopping board. My son and daughter in law were delighted with it. A great and useful keepsake for them. I want to thank you so very much for the wonderful board which you made for me. I gave it to my husband on our 40th wedding anniversary. My husband is not an emotional man but it brought tears to his eyes! The quality of the work is outstanding and the carving brilliant. The board now has pride of place in the kitchen and has been commented upon by many of our friends and family. The service you provided me with from start to finish was what customer service should be about, friendly, nothing was too much trouble and responses came back very quickly. You and your company are a pleasure to deal with and I would certainly recommend you and your products. What made it even more special was that the board arrived 2 days earlier than I was expecting. Thank you again from a grateful customer. Many thanks, John and Diana, for a super product and very efficient service. 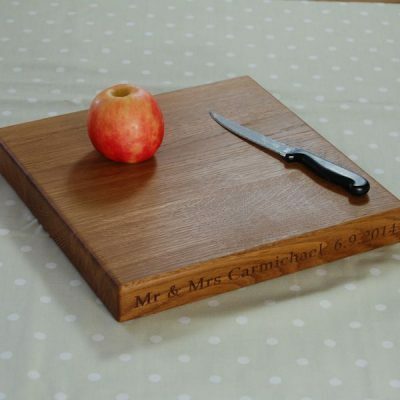 Just a note to say how beautiful the chopping board is. We were absolutely delighted and it has made the most wonderful present. 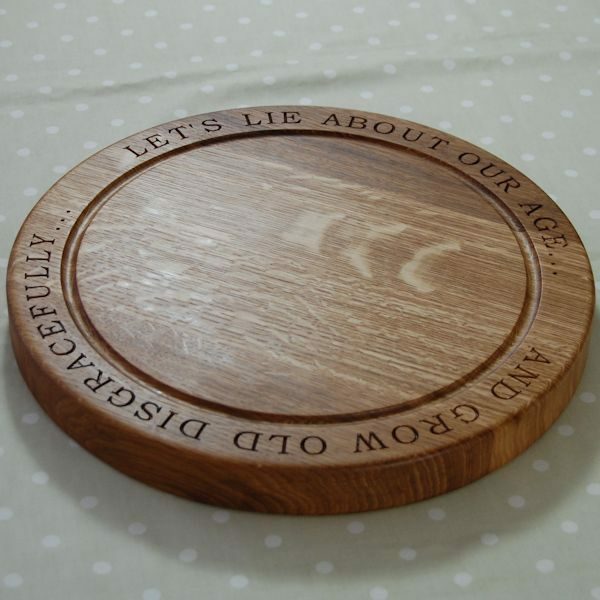 I was thoroughly delighted with the personalised chopping board I bought for my sister and her family…..and so were they! It is a thing of beauty…I may order one for myself as I felt quite jealous of theirs ! 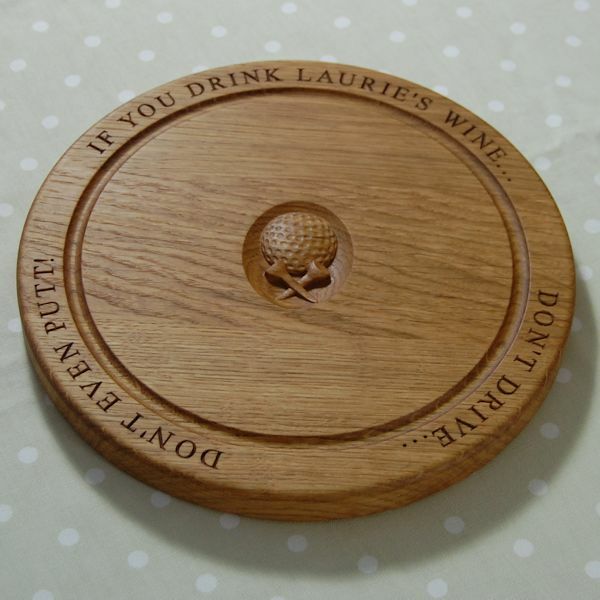 Top quality, and a fantastic gift idea. BEFORE I am absolutely delighted with the computer simulation and am so looking forward to seeing the board when completed. The spelling and punctuation are correct and the placements of the names/layout look perfect. I agree that the text should all be upper case. Thank you for your very professional and helpful advice with this order. 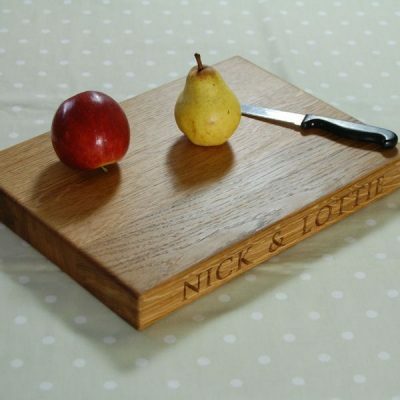 AFTER Just a quick note to thank you for the absolutely wonderful oak board which arrived safely at lunchtime today. 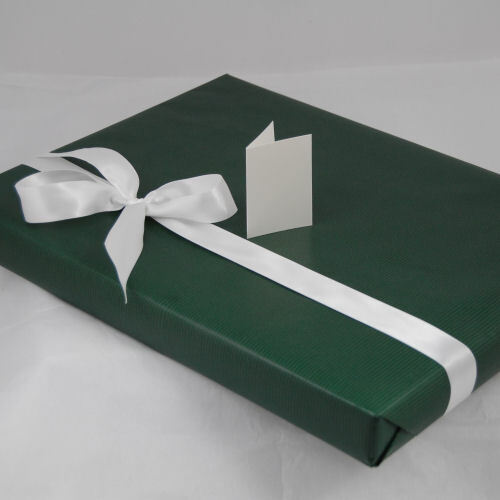 It has even exceeded my high expectations in terms of quality and finish…I am sure that the recipients will be as thrilled with it as I am. Many thanks to John for the beautiful craftsmanship. It was fantastic! Laurie loved it. Thank you so much.